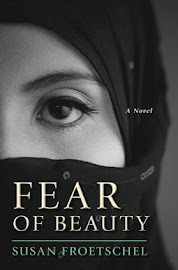 Fear of Beauty addresses the challenges for military and security personnel in protecting facilities in Afghanistan during the war. Military representatives and security details must walk a fine line between a show of force versus a show of respect, cooperation and trust. Such personnel make difficult decisions on mingling with local people in communities without fear and, by their very presence, challenging long-held opinions. One line of questioning during a hearing of the House Select Committee on Benghazi is telling. Hillary Clinton, former US Secretary of State and presidential candidate, testified in response to questions from Rep. Lynn Westmoreland of Georgia. Clinton suggested she could not micro-manage or second-guess the assessments from security professional on the ground, and Westmoreland insisted on protection for US facilities such as the compound in Benghazi. Clinton: Well, they are people who risked their lives. Clinton later returned to defending capabilities of security personnel protecting diplomatic and other US staff. Clinton: I must add, Congressman, the diplomatic security professionals are among the best in the world. I would put them up against anybody. And I just cannot allow any comment to be in the record in any way criticizing or disparaging them. They have kept Americans safe in two wars and in a lot of terrible situations over the last many years. I trust them with my life, you trust them with yours when you are on Codels. they deserve better, and they deserve all the support that Congress can give them because they are doing a really hard job very well. Westmoreland: Well, ma'am, all I can say is that they miss something here and we lost four Americans." The committee was established to investigate events surrounding the deaths of four Americans in Benghazi September 11, 2012. Assignments in countries with extremists and insurgengies are difficult. Any encounter, even ones with a child, can turn into a deadly suicide bombing or attack. Security teams must constantly observe surroundings and nuances to make instant assessments. Security teams must also assess the courage of those whom they protect. As they turned the corner, a young girl emerged from the brush, unnoticed by the driver or Cameron. Joey gripped his M16, and Habib's hand covered his side arm.... Smiling, she approached the Humvee, running her hand along the side and letting it rest there, as if posing for a photo.... Startled the driver turned. A more skittish soldier might have shot her - he fervent wish of every extremist. 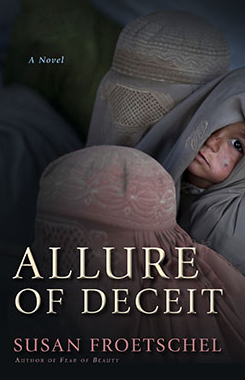 Old rules or codes of conduct do not apply in conflict areas like Afghanistan and Libya and even the security forces on the ground struggle over such decisions. Photo of Benghazi, courtesy of Dennixo and Wikimedia Commons.